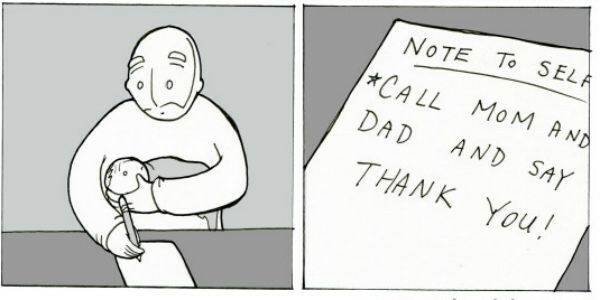 You may want to pick up the phone and call your parents after reading this one. 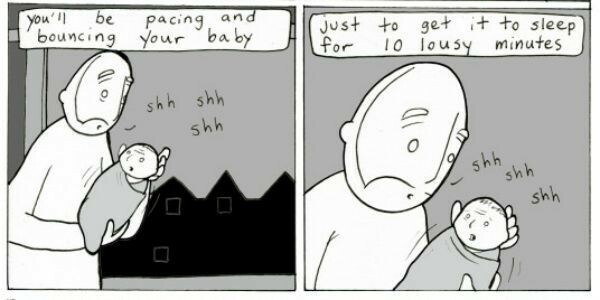 As Chris Grady wandered around the house at stupid-o-clock, bouncing his three-week-old daughter and trying to settle her to sleep, he realised that this wasn’t the first time he had been in this situation. Except, now he was the one doing the bouncing rather than the crying. And, like most great ideas are born, through this sleep-deprived thought, he crafted a beautiful memento of appreciation for his parents (and the whole world) to enjoy. 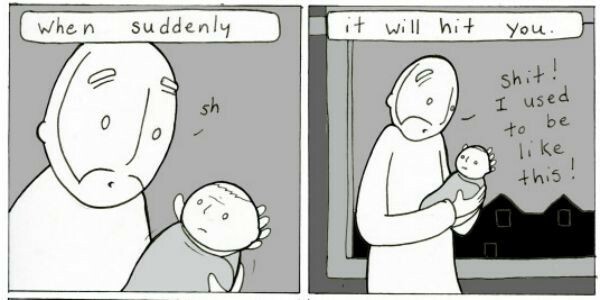 His comic, aptly titled Shh, offers a simple yet elegant way to say thank you for all the things that we forget to be grateful for. Thank you for bouncing me. Thank you for cuddling me. Thank you for worrying about me. Thank you for loving me. 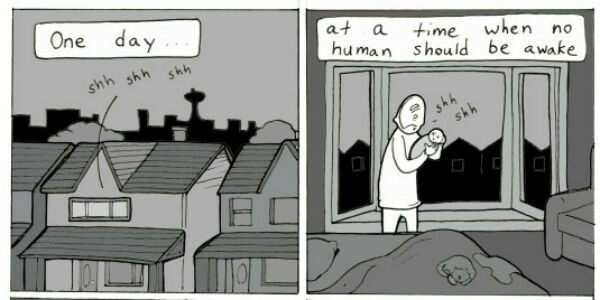 In only eight images and 52 words, Grady, who is the illustrator behind comic strip Lunarbaboon, captures what every new parent realises at some point or another (and usually at some ungodly hour). What other moments in motherhood have made you realise just how much your parents did for you?